Showing the Love of Jesus in a practical way. Start churches in small towns in France. Teach the English language and share the love of God with teens in countries such as Germany and Moldova. Disciple those who have newly come to faith in both Columbia and Costa Rica. Reach out to college students in the city of Berlin with the good news of Jesus Christ. Show compassion and mercy to orphans and the malnourished in Haiti. Translate the Bible in the native language of those who live in Vanuatu. If you would like to get involved in our missions program, go on a short-term missions trip, or just want more information about what our church is doing to be part God’s plan to reach the world with the love and knowledge of Jesus Christ, please CLICK HERE. Our partnerships with different ministries and organizations are united together under one vision: to bring glory to God by making disciples of Jesus Christ. We support these ministries (including financially) and we are invested, involved and connected in these relationships for the long run with the goal of blessing others. CareNet Pregnancy Center of RI is a faith-based non profit organization that exists to serve women and men facing unplanned pregnancies. Services are confidential and free of charge. They offer free pregnancy testing, referrals for free ultrasounds, options counseling, parenting support and programs for men and women who have had abortions in their past. 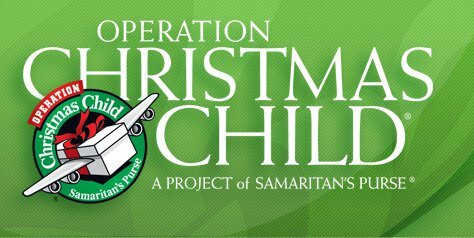 Operation Christmas Child uses the gift of a shoebox to teach a child about the love of God, lead him or her to faith in Christ, inspire pastors, and plant new churches. What goes into the box is fun, but what comes out is eternal. Be a part of changing lives through the power of a simple gift. RCF is a Christian student organization on the URI campus. Our mission is to know and follow Jesus Christ. Whether you are a Christian student who is looking for community on campus, or a student who has questions about Christianity, we would love to meet you and find out how we can serve you. We have plenty of opportunities for you to get involved with RCF. The Providence Rescue Mission is a 100% privately funded 501-(c)-3 non-profit, non-denominational ministry. They partner with individuals, churches, and businesses to reach the homeless and needy of Rhode Island's urban centers with the Gospel of Jesus Christ. Physical, emotional, educational and rehabilitative services are provided at no expense. RI Bridges International is a student organization which seeks to help international students and scholars through service activities, social networking, and spiritual resources.